Fresh & Light Ultimate Care Scented Multi-Cat Scoop litter is the ultimate lightweight litter with no fillers, just pure performance. 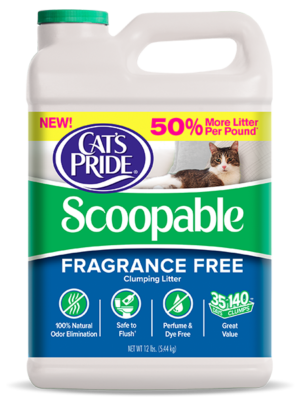 This powerful litter is formulated to fight odors for 10+ days and form super hard clumps that are easy to scoop. Plus, its low dust formula means less dusty residue and tracking, making cleanup a breeze. It’s truly Light Done Right. *When used as directed. Based on laboratory testing. 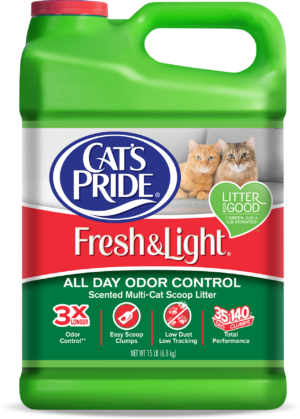 Cat’s Pride Fresh & Light Ultimate Care Premium Scented Multi-Cat Scoop is rated 4.0 out of 5 by 161. Rated 5 out of 5 by Natasha from Effective and economical After seeing ads for Cat's Pride on Facebook, I decided to give this litter a chance. The difference was obvious and immediate. It's lightweight, making it easier for me to carry a jug. The light scent doesn't bother my kitten. Best of all, no more lingering odors or waiting for clumps to form. Add the support for animal rescue organizations, and we have a winner. Rated 5 out of 5 by theDude from My cat loves it! We've been using it for a month now and Spot couldn't be happier! Rated 5 out of 5 by Cats2018LC from Love it!!!! Offers everything my cat and I need. Strong clumps, amazing odor control, no tracking and my cat loves it. I always recommend this product to all of my friends and family. Plus, with every green jug sold - they donate a pound to animal welfare organizations! Rated 5 out of 5 by skendle16 from Wonderful I like the long lasting odor control and for the price cats pride is my best buy. Rated 5 out of 5 by golfing gal from Wowza ! We have been using Fresh & Light ever since it became available in our area. We have 3 cats, and the ease of this lightweight container is fantastic. But my favorite feature is the fact that it is almost dust free, a definite plus at our house. Rated 5 out of 5 by Little Js Mom from Out of this world! I bought this litter a few weeks ago and I have to say it is the best litter in the whole world! I scoop the litter box once a day and this litter lasted beyond 10 days, I forgot and stretched it a few extra days, before changing the litter box. Nice and light weight and performs like a champion!! Please keep making this product! Rated 5 out of 5 by Karen from Best Litter We have been using Cat's Pride for years. We decided to try this one. We like it because it is lighter and easier for us to carry upstairs and also because it has less dust to it. Only thing is, I wish there were more coupons available. Being retired and on fixed incomes, since it is more expensive, it would sure help to have more coupons available. I used the previous version of the ultimatr litter, it said 99.9% dust free and it looked different. This one looks like regular clay litter. Is it still 99.9% dust free and is it clay litter? Yes, our clay color varies based upon the plant location. Thanks!! Does this cat litter contain sodium bentenite. No. This product does not contain sodium bentonite. Regarding scoopable litters, why the paucity of large containers, i.e. 28 pounds or so? I don't like to have to lift small sizes or to contribute more plastic containers to environment. Used to get large bags at Family Dollar.Stores. I just switched to the ultimate cat care litter from the 25% quick action and it's not clumping the litter. I can tell that it is absorbing the urine,but it's not clumping it and the feces barely clump. Why isn't it working? I also use an automatic box. Hello, I have been using Fresh &amp; Light Ultimate Care Premium Scented litter. I do not see it on your site and am having a tough time locating for purchase. Was this version discontinued? Thanks. Please review retail prices with various retailers in your area and online (amazon and chewy.com) We do not have control on retail prices. A jug of litter should provide you with the same amount of clumps or uses regardless of the weight. 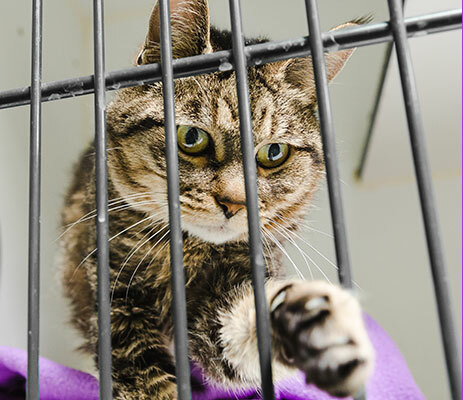 The same number of cat box fills would hold true for all our jug litter products---regardless of their weight ( 12#, 14#, 15# ) because the jug size and volume inside the jug are the same. We greatly appreciate your question and continued support! We use Natural Unscented and love it. My question: I know this light litter is lighter to carry in the jug, but are the urine clumps of used litter lighter also? Why can't they make all cat litters in an unscented version? This Cat's Pride sounds fantastic, but it is scented--a no-no for those of us with breathing problems. Prehaps there is an unscented and dustfree version of this somewhere? Great news for you! 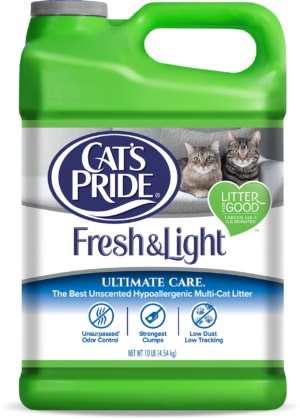 We manufacture Cat's Pride&reg; Fresh &amp; Light&reg; Ultimate Care Hypoallergenic Scoop Litter. This product is sold in a similar package to the Ultimate Care but rather than a pink cap it offers a more turquoise color cap. Please check our store locator (offered on our website) for retailers near you that sell this product. Thanks!